Create your Budgets and keep to them - Buy 'Budgets - Expense Tracker' ! 'Budgets - Expense Tracker' logs your purchases against your budgets so you can see how much you have spent. Your budgets can be monthly, weekly, or any other time period you like. ◆ Keep track of your spending so you Don't Overspend. You can set up as many Budgets as you need and monitor your spending over any time period. √ See how much of your Budgets you have left to spend with the Coin Tubes Display! 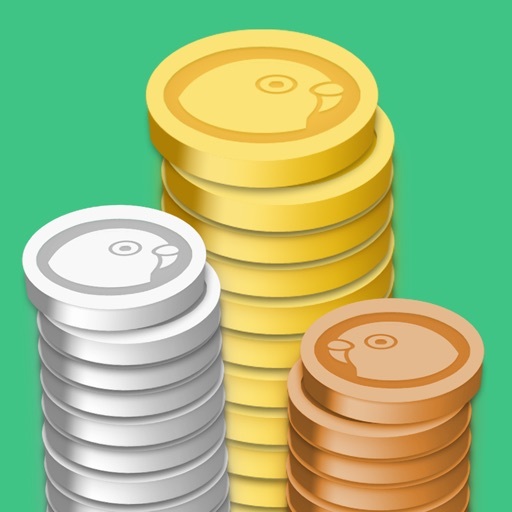 ◆ This app is part of the MoneyBudgie Finance Tracking Bundle. - All 4 Apps work together to help you get in control of your finances. For example, you can use budgets planned with the Home Budget Plan app in this app, whilst purchases logged in this app affect your bank account balances tracked by Spending Log, etc. Buy 'Budgets - Expense Tracker', create your Budget and keep to it.